Introducing the Wroxton yoke lambswool jumper with all over cable stitch. 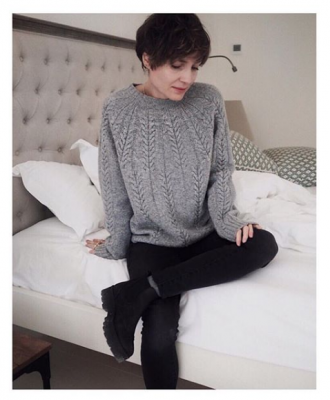 A modern edge to the traditional cable jumper with seamless detail in a cosy chunky knit. A luxuriously soft grey melange lambswool spun in Scotland. A relaxed and effortless silhouette ready to embrace sweater weather, a luxury staple for every winter wardrobe.